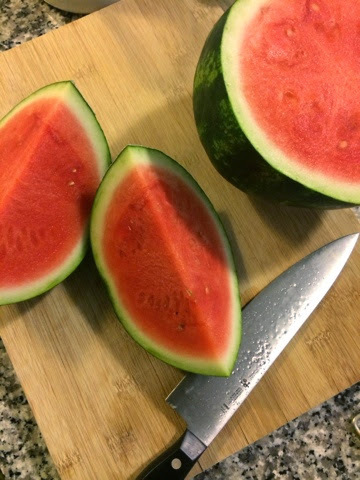 It's summer when it's watermelon season and this is one of my favourite fruits! Last night it was hot through the evening and what better way to cool off than from the inside out. 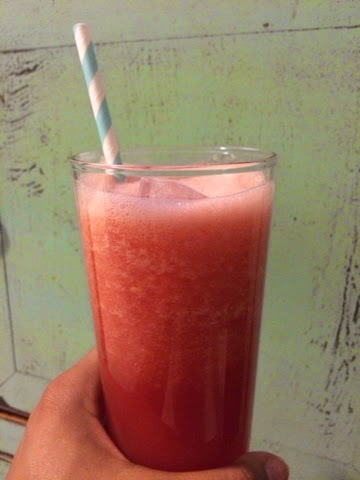 This all natural slushie drink has no sugar added and is so refreshing for summer days or nights. Here's what you need: 2 cups of cubed watermelon, 1 cup of cold filtered water and a handful of ice cubes. If you like a more juice like texture like me you may want to add a little more water. If you like a little more of a slushie consistency add more ice. Put it all in a blender and that's pretty much it. Within minutes you will have a delicious, refreshing drink which is actually healthy! This is definitely going to be one of my favourite summer go tos.